Sometimes, heaters simply can’t be fixed. Other times, a home has no central heating system to begin with. New homes that are being built need heaters installed, of course. Some homes built before the 1980s weren’t made with central heating and air conditioning. In addition, many older homes have units that are outdated and simply aren’t energy efficient anymore. We are comfortable working with many different types of heaters, including gas, electric, boilers, furnaces and ductless systems. We’ve served the Denton area for over 10 years. Cote’s Mechanical is locally owned and operated. We work with many other HVAC components too. Need assistance with your air conditioner as well? We can help! We only employ the best. Our technicians are all NATE-certified and really are experienced, hardworking experts. We wouldn’t employ just anyone. We stand behind our work with a 100% satisfaction guarantee. You can feel confident in everything we say and everything we do. At Cote’s Mechanical, we make sure you heater installation goes smoothly and painlessly. 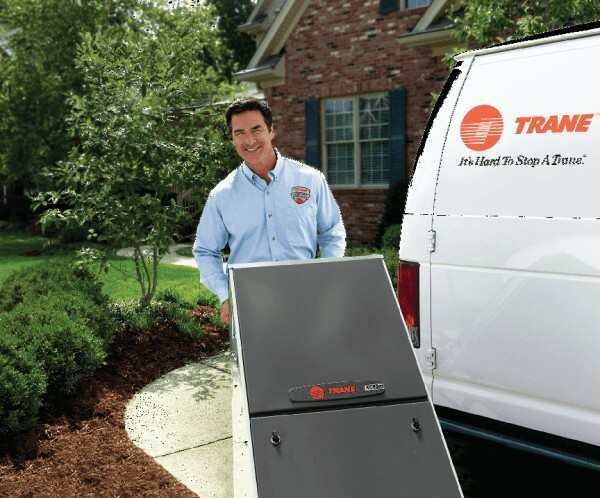 Our goal is always to make sure you have a heater that will serve you well today and for years to come. We are comfortable working with many top name brands. One of our experts can help you decide what will be the best option for your home or business, and then we’ll get started with the first steps of the installation process right away. Age – An older heater is usually a candidate for replacement. After all, an older heater will be less energy-efficient, costing you extra money in utilities each and every month. Repairs – What repairs are needed? Is the system seriously broken or does it just need a simple fix? Would the cost of heater repairs be more than the cost for a new system? Maintenance – Has the heater been well maintained or not? Performance – Is the heating system performing as expected? Does it keep you warm all winter long even when the coldest temperatures hit? Are there cold spots in your home? Your Needs – Are you looking to upgrade, or would you like to push through and try to hold out for another year? We’ll always try to keep your needs in mind. Heating system installations are a big job. The reality is that every one of these jobs is a little different. Is the heater being installed in a new home? Is the ductwork already in place or will it have to be run? Are there any existing components that are being utilized or is everything being added brand new? Because there is so much to think about with heating system installations, we always recommend letting us come out for a full, in-depth consultation before making any plans regarding your future installation. We can give a much more accurate quote in regards to price and time, and you’ll have a much better idea of what to expect from the process. Heater installation is one of our specialties at Cote’s Mechanical. If you’d like to talk to us about your heating needs, contact us today. We look forward to working with you soon.